ONE OF A KIND! This is the home you've been searching for! 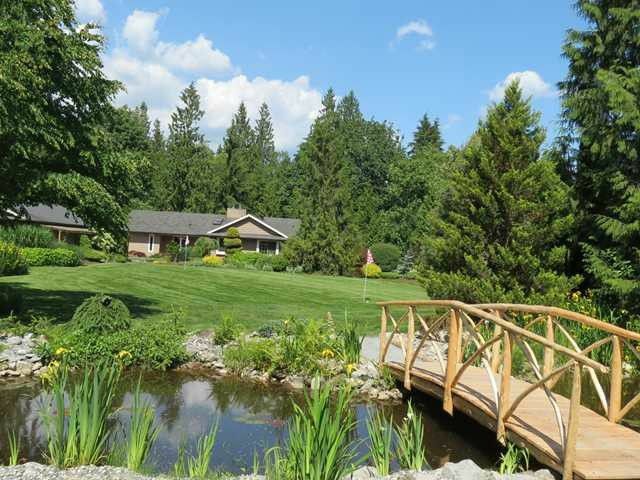 Unbelievable 4.87 Acre Private Oasis featuring it's own 3 hole par 3 practice course. Custom lighted Koi Pond with handmade cedar bridge and waterfall, private 3D archeryshoot for the bow-hunting enthusiast. Room for all the toys or home business in the MONSTER GARAGE (detached 40 x 30 heated and insulated with 220 power and water). No expense was spared in the recent FULL RENO of this home: entertainers dream! Granite countertops, real oak floors, travertine & marble everywhere, best of the best, you deserve it. Property is located at the end of a no-thru road, and enjoys absolute privacy and is gated. Professionally landscaped, your own park! CALL NOW!